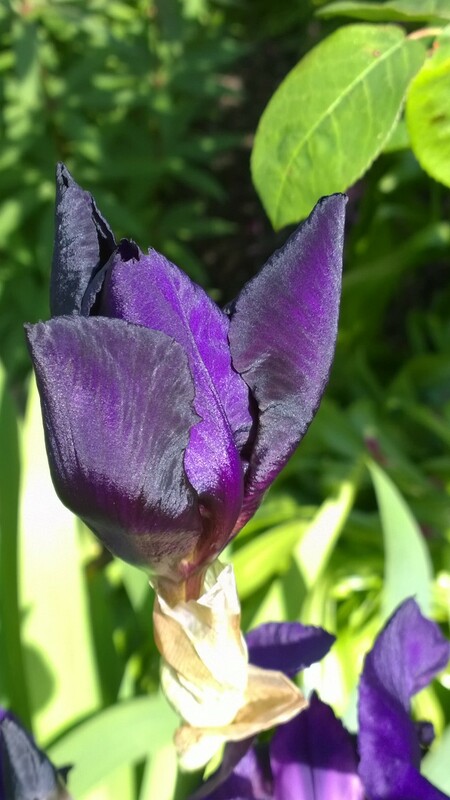 Image | This entry was posted in Uncategorized and tagged Black Taffeta, Iris, Sissinghurst Castle. Bookmark the permalink. This guy really looks like shiny, silky taffeta. Unbelievable, mother nature is! Isn’t she marvellous? I wonder if any man made fabric could compare for sheer gorgeousness. Next time I’m somewhere with a dress fabric department I’ll go look, but I don’t hold out much hope. Even if I found some it’d be bound to cost an arm and a leg.